With less domestic stories than the North Korean ‘news at ten’, it’s a good thing we’ve got the World Cup to keep us going. Sunday was dominated by fallout from the England game, Lionel Messi ‘doing his thing’ and Honduras being, what we’ll politely call, ‘cynical in the challenge’. Everybody has an opinion about the England team, with Wayne Rooney’s positional sense being the main talking point. Given the various tabloid scandals to have dogged him in recent years, the last thing I want to be visualising over my cornflakes is Wayne Rooney’s best position. 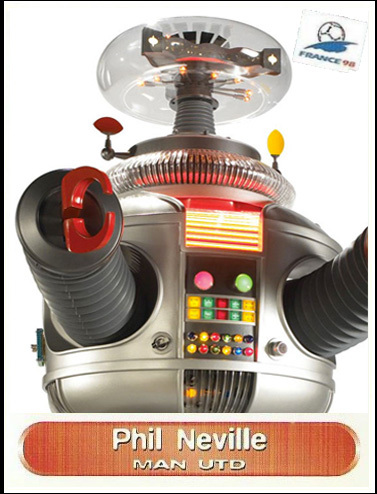 The other fallout from the England game was further discussion about the robotic stylings of Phil Neville in the BBC commentary booth. I said my piece on this yesterday but note his own subsequent admission that this was the first game he had ever covered. It’s one way to unite the country, I suppose, with the criticism of the former Manchester United man being universal. I realise that new talent has to start somewhere, but not in the biggest England game since the last biggest England game. Surely this is what the likes of Iran- Nigeria are for? I hope it works out for Phil. Genuinely. It’s a poor state of affairs when the BBC can produce somebody who makes Andy Townsend seem vaguely relevant. The Phil Neville panini sticker – a limited run??? Back on the pitch, Sunday highlights included Lionel Messi with a wunder-goal for Argentina in their 2-1 win against Bosnia & Herzegovina. I’ll be honest; I only saw this on the Internet today. Another 11pm match was too much for me on a school night. If you saw it live, then well done. Well worth staying up for and you can catch it here, c/o the BBC. France beat Honduras with the first legitimate use of goal-line technology. My gut reaction was ‘goal’ after Karim Benzema’s effort went in via Honduran goalkeeper Noel Valladares. Whilst TV seemed to confirm this, not everybody was convinced. 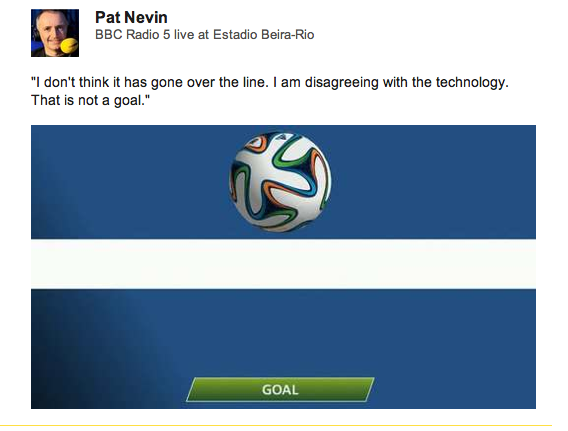 Radio 5’s Pat Nevin wasn’t alone in refusing to believe his own eyes and the video. For me, I still say ‘goal’ but the French can count themselves luckier to have escaped largely unscathed. Honduras did their very best to take football back to the dark ages in a performance than reminded me of Zaire ’74 or Cameroon against Argentina (foul wise) in Italia ’90. Hopefully FIFA will ‘have a word’. Today’s highlight is the Germany – Portugal clash at 5pm. I can’t wait. Pack your brollies – it’s going to be raining goals. Was this the worst performance ever? Come on England. Not the football team. I thought England did really well against Italy in their opening World Cup game last night and, to be fair, were unfortunate to come away without at least a point. Indeed, there was enough from Roy’s boys in the opening 15 minutes to excite more than the whole of the ‘no show’ in South Africa 2010 put together. In a tournament that has been all about goals, goals, goals the England – Italy game delivered more and was anything but the dour, cautious 0-0 this numpty predicted. Ok, we lost but we played well in doing so. With the emphasis being very much about England on the front foot rather than camped in the defensive third, I’m anything but downbeat about our chances of progress. My disdain is more for Phil Neville. The BBC really have dropped the ball in their team selection at the World Cup. The likes of Lineker, Shearer and Henry are still street ahead of anything ITV have to offer but are they taking it for granted? Things got off to a bad start on Friday with the Manchester United referencing Rio Ferdinand. He continued name-dropping on Saturday (yawn) but things then hit a real low when we switched to the main game. Phil Neville, as analyst in the commentary box, seems to have had all the charisma surgically removed from him prior to taking his seat (that is, assuming he had any charisma in the first instance). For a game that kicked off at 11pm, the last thing a tired audience needed were the soporific tones of this human Horlicks. It was like listening to a robot. He really was that monotone. 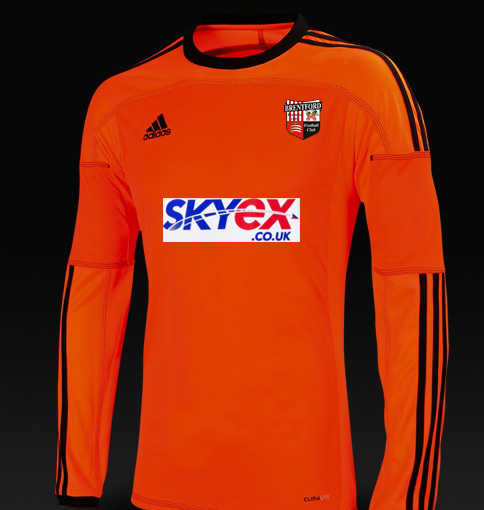 Ironic, considering we really needed a robot on the pitch. Daniel Sturridge’s fine equaliser saw a celebration that was less Peter Crouch and more seasick scarecrow. To compound the felony, with both Leighton Baines and Andrea Pirlo having second half set piece efforts in front of goal, Phil couldn’t even give us a, “And this is Saunders territory”. The BBC still has far too much in the tank to be worried by ITV but their choice of Phil Neville seems a really odd one. His brother, Gary, does a fine job on Sky – I’m the first to admit. Clearly, it doesn’t run in the family. Or perhaps, with the selection of Rio, the thought is that Manchester United’s fallen stars are the future of football punditry.